Faust will tour the UK at the end of this month in support of their recent album, Fresh Air. The line-up will consist of original Faust members Jean-Hervé Peron and Werner Zappi Diermaier, backed by longtime Faust collaborators Geraldine Swayne and Amaury Cambuzat. All dates are listed below. 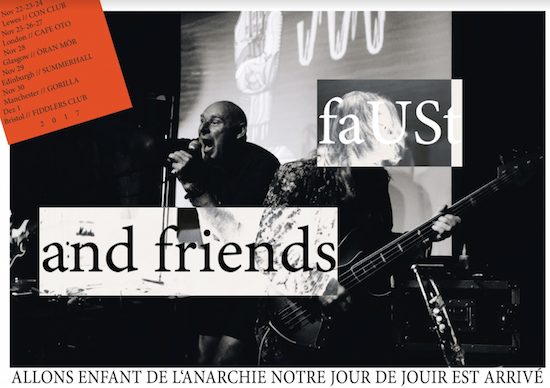 Have a read of our recent chat with Faust’s Jean-Hervé Peron and GNOD's Paddy Shine about the two bands' live collaboration at Milhões de Festa in Barcelos, Portugal here.